Fear of rejection is one of the deepest human fears. Nobody likes to be rejected. It happens in the world of relationships and in most industries. Insurance is no exception. 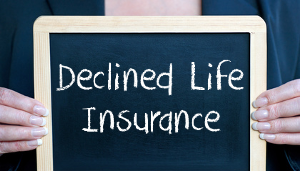 As individuals consider their insurance needs and begin the process of applying for coverage there are some things to consider to avoid a potential declination. A good agent should be able to access your situation by asking the right questions. If they are in-depth with their fact finding they will be able to direct you to the correct company based on your health and financial situation. 1. Apply Informally – An agent can send all of the normal requirements but, let the company know an informal application and if it appears to be a decline the case can be pulled. 2. Quick Quote – An agent can send a quick blast out to multiple carriers with a overview of the case and the carriers will reply back with a possible outcome assuming everything comes in as outlined. 3. Apply at Multiple Companies Informally – For a client applying for a great deal of coverage an agent can send an informal application out to several carriers partly as way no to raise any red flags with other companies.